It’s been a while since we gave you a development status update so here goes. Several of us just got back from our recent zombie mocap session at Just Cause Productions in LA with stunt actor Mark Musachi. The group has done work on many high profile games including the Resident Evil series, The Last of Us, Dead Rising and more. Check out the video below for an awesome sneak peek. Alpha 8 is coming along nicely featuring fully smooth terrain, a new world collider system for player, zombie and objects, new upgrade downgrade blocks, crafting organization with categories and sorting, land claim and durability tuning and much, much more. Tentative release date is May 3rd if all goes well. We’d like to give a big pimp shout to one of our team members Alexander our world builder. Alex is pursuing his musical dream with a new group “The Migration” who have a great indie folk sound. They just started an INDIEGOGO CAMPAIGN so check it out and support small Indies who dare to dream big! This entry was posted in News on 04/27/2014 by rhuenink. Alpha 7.11 Hot Fix is out with many bug fixes, and improvements and here are the Official Alpha 7.11 Release Notes. Enjoy! Changed barbed, iron reinforced clubs to use scrap metal. Alpha 7.10 came with upgradable downgradable blocks, land claims, friends list and locking doors and chests. Here is a little more information on how these systems work. Players can build wood frames and while holding a stone axe with wood planks in their inventory right click on a wood frame block and upgrade it to a wood block and repeat action to upgrade it to a reinforced wood block. Then if you have scrap metal you can upgrade it once again to metal reinforced wood block. These same blocks can be damaged and downgraded to their previous states and then repaired and upgraded again. New players are awarded 1 land claim keystone block in their starting inventory if a server is running Survival PvP. Ways to earn more will be added in future updates. The keystone block is a special looking block that when carried by the player shows a 7×7 or server set protection grid rendered as a transparent green protected grid. Claim Size – Sets the size of the protected area around a land claim block. Default is 7×7 all the way vertically. 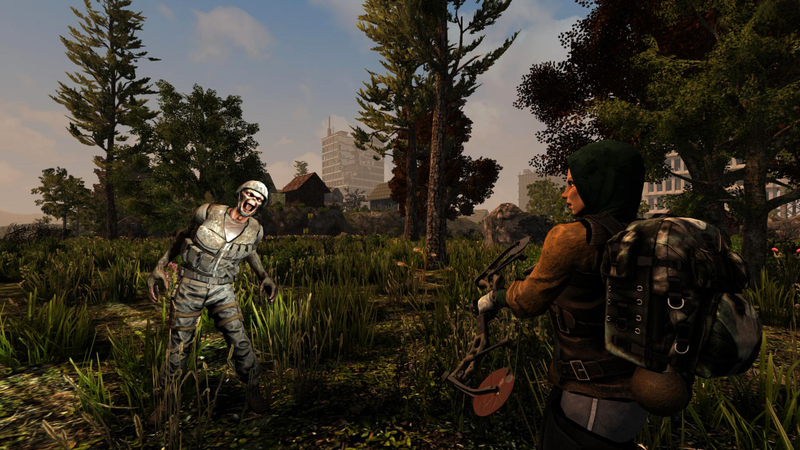 Claim Deadzone – Sets the distance neighboring non friended players can place their land claims. Default is 30 blocks/meters away. Claim Health Online – The hardness modifier applied to land claims for players who are currently online. Default is 32x harder to destroy. Claim Health Offline – The hardness modifier applied to land claims for players who are currently offline. Default is 32x harder to destroy. The new friends list can be found if click on the friends tab in the main inventory menu accessed by hitting ‘I’ in-game. From there you can invite players on the server to friend, see invites, accept invites and remove friends. Friends have advantages like sharing buildable areas, seeing each other player icons and turning on friendly fire if these options are set on the server. Players who craft doors can lock them, unlock them and set passwords which can be shared with other players. Note the player who owns the door or chest never has to unlock it or enter a code to open the door. Friends who know the password only have to enter it once. This entry was posted in News on 04/21/2014 by rhuenink. Alpha 7.10 is out with many new additions, improvements and fixes including: New Survival Pvp mode featuring Land Claim Blocks that bolster your forts protection, new upgradable and downgradable player built wood and cobblestone block sets, push to talk in-game voice chat, locking doors and chests, friends system enabling sharing of land claims, new sub biomes, drinking water with hands many new recipes, optimizations and much, much more. This entry was posted in News on 04/19/2014 by rhuenink. Alpha 7.9 is out which includes big frame rate optimizations, stealth fixed and many more fixes. This entry was posted in News on 04/08/2014 by rhuenink. Alpha 7.8 is out with many new additions, improvements and fixes including: HDR Lighting, Bloom, Adaptive Exposure, Loot Abundancy and Loot Respawn Options, 44 Magnum, new burn forest town, new weapon repair system, new backpack/belt item organization system, new book recipe unlock system, new server admin console, many new recipes, optimizations and much, much more. New Console Commands: *all commands are without the ‘[‘ or ‘]’ these are for readability only. If there are any players in this list whitelist only mode is automatically activated, preventing anyone not in the list from entering the game. cp add [command] [permission level] – Will add a command to the permission list. cp update [command] [permission level] – Will update the command, used to change permission level. cp remove [command] – Will remove the command the command permissions list. This entry was posted in News on 04/04/2014 by rhuenink. We have a lot of big news and wanted to share with you so here goes. 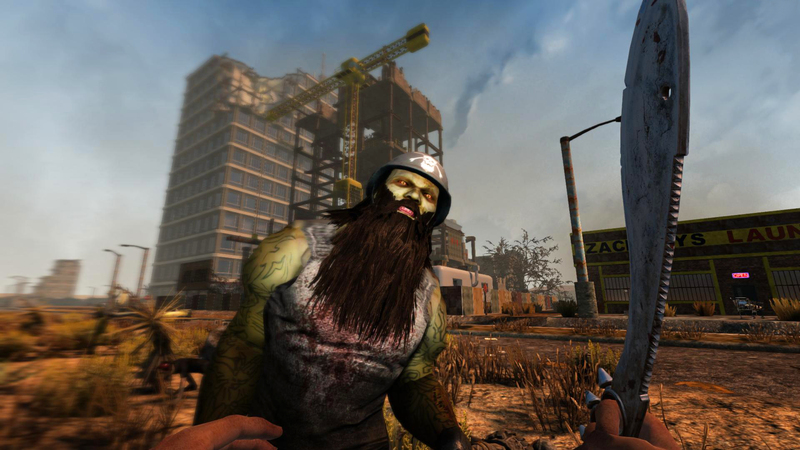 Thanks to the support of our loyal and growing community 7 Days to Die has broken the Quarter Million units sold mark. We have our fans to thank whose support and feedback have made this the game it is. 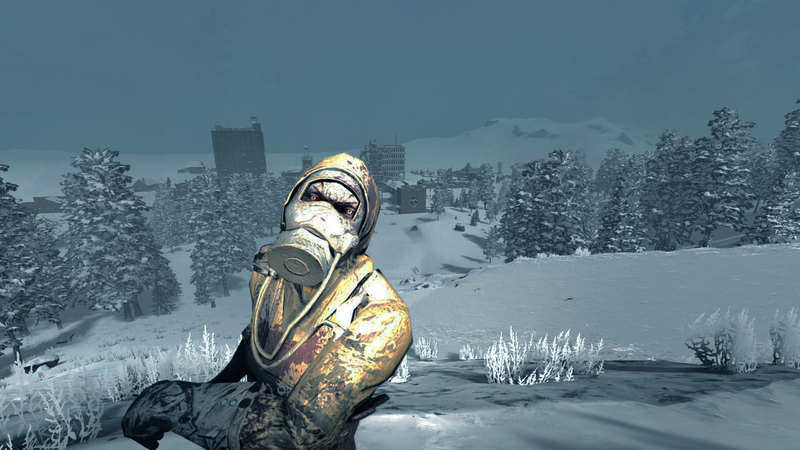 The sales are showing no sign of slowing down and neither are the pimps who are dedicated now more than ever to making the best damn zombie game out there. Alpha 7.8 is coming along very nicely and should be out by the weekend. 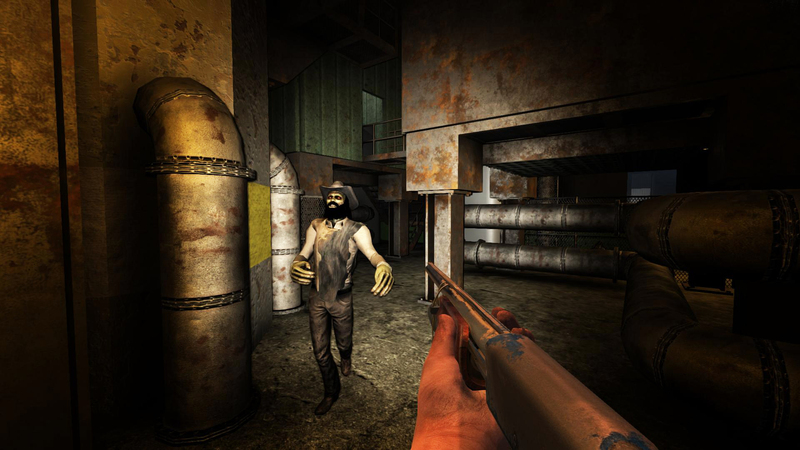 The build is turning out to be a huge update which includes new high fidelity first person hands, HDR lighting, Bloom, Adaptive Exposure, a new 44 Magnum hand cannon, loot abundancy and respawn options, a new burn forest town and much more stay tuned. And lastly we wanted to give you a peak at how the smooth terrain is coming along. Check out the animated GIF below to see the same hillside before and after a procedural smoothing pass. This entry was posted in News on 04/03/2014 by rhuenink.